Dark stained mahogany frame with recessed grip detail on the back. 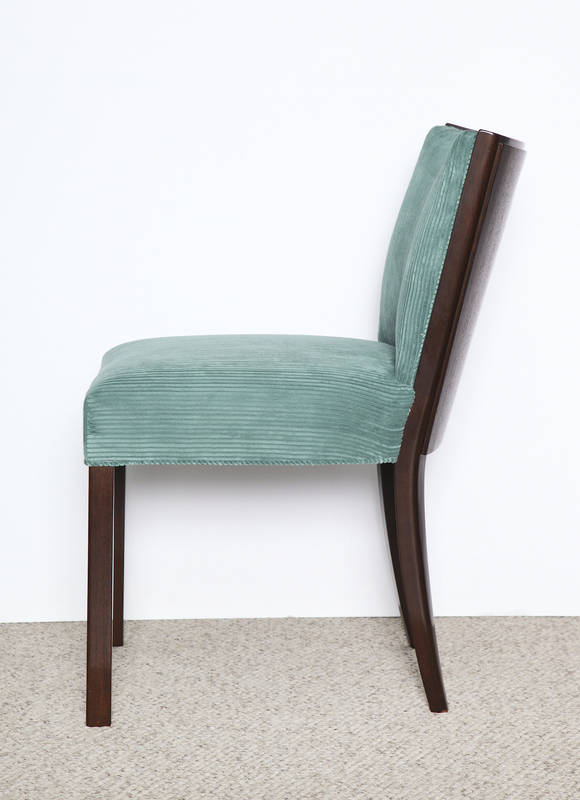 Upholstered with wide-ribbed teal fabric on seat and back. h. 32" w. 20" d. 25" Seat: h. 19.5"